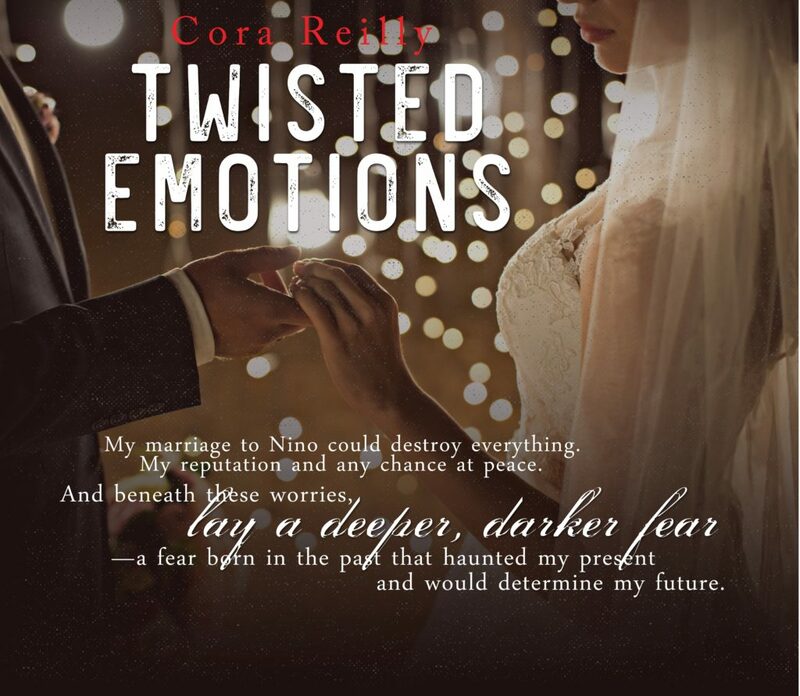 Today we have the blog tour of Twisted Emotions by Cora Reilly. Check it out and be sure to grab your copy today! Dilated pupils, accelerated breathing, racing pulse, trembling, Kiara had the telltale signs of terror. I kept my thumb on her pulse point as I regarded her. She finally raised her gaze to mine, and her pulse sped up further. Her body’s reactions could have been a sign for arousal as well, but I knew they weren’t. “So you didn’t agree to marry me,” I pointed out. “You will be my wife,” I told her. Whatever she’d heard about my brothers and me, and what was going on in Vegas, she didn’t have to fear that kind of thing.